Ayahuasca is a psychedelic substance used in entheogenic brews as a traditional spiritual medicine. Indigenous people in the Amazon region of Peru say that the spirits of the plants will guide them in their spiritual practices. Ayahuasca is inactive if consumed without a monoamine oxidase inhibitor (MAOI) plant to help it absorb and create the psychedelic experience. The Ayahuasca experience hyperactivates the brain and makes it possible for us to rewrite our old patterns of trauma in order to help us heal issues that are far in our past. In fact, this plant has also been helpful in recovering old memories and making it easier to understand ourselves and heal from those events. In the early 1950s Harvard ethnobotanist Richard Evans Schultes was the first to talk about this substance outside of the indigenous communities. These communities were using the plant for both healing and divinatory purposes. The video below looks into the scientific discoveries about what is going on inside our brain when we are on the shamanic Ayahuasca brew. It also looks at how our brain patterns cling to old traumas causing almost a scar tissue effect in the neurons making it really hard to rewrite our patterns of behavior and healing from trauma. The Burning of Frankincense has been part of cultural and religious ceremonies for over a millennium! Frankincense is actually made out of a resin from the Boswellia tree which is made into oils, incense, and is used in everything from helping your soul reach higher spiritual planes to medicinal uses. Ancient texts such as the new and old testament talk about frankincense as having mystical powers. Many different spiritual practices worldwide still use it to this day. Johns Hopkins University teamed up with researchers from the Hebrew University of Jerusalem to explore Frankincense to see what kinds of effects it has on the mind. To measure the effects on the mind, researchers used some of the resin from the Boswellia tree known as incensole acetate and gave it to some mice. This test showed them that ‘incensole acetate’ effects the area of the brain where emotions reside. Kirlian photography of various flowers. When we look at a medicinal plant, we see the different parts used in various ways. Sometimes the roots are medicinal. Or sometimes the leaves and stems have healing properties. Though when we look at the flower of any given plant, it is clear that it is often the most vibrant, attractive and spectacular part of the plant itself. It is the quintessential expression of that plant. Wouldn’t it then only make sense that this part of the plant offers us the most medicinal/healing properties of that plant? To make a flower essence, flower pedals are gently plucked (with leaves preferably) and placed in a glass or crystal bowl that is filled with the cleanest water possible. 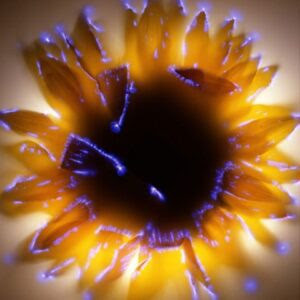 With the help of the Sun’s rays, the bioelectrical field of the flower (and yes, bioelectrical fields have been shown to exist around every living thing in nature via Kirlian photography) is imprinted into the crystalline structure of the water molecule. Remember, it is also an established fact that water has memory and can be imprinted through various methods. So what occurs is the imprinting of the quintessential vibrational field of the flower into water. The highest vibrational output of the plant is encoded into the water molecules. One could also think of it as the consciousness or literally, light codes of information from the plant being infused into the medium of water. Because the essences of flowers operate more on a vibrational/electrical level rather than a biochemical (like the use of herbs or foods), the effects are felt in a more subtle way. However, subtle doesn’t mean it isn’t powerful or effective. What a person experiences is more of a shift in awareness, a shift in understanding or a shift in consciousness around a certain situation. It can help us understand and transform the underlying emotional issue. 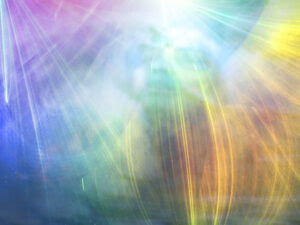 For example, if someone is dealing with an issue from some sort of trauma from a situation that occurred at some point in his or her life, flower essences can help bring greater understanding to the trauma event as well as bring the emotional ability to transform, release and forgive or accept what happened. Flower essences are essentially nutrients for the soul. They help us on an emotional level. We begin to see things in a new light and can begin to deal with things in a new way. This leads to taking different actions in regards to processing and resolving any issues we might be working through. Since flower essences help us process and heal the underlying emotional issues, a person is better able to make different choices and take different actions to bring about even more healing. I believe that as more and more people heal themselves with flower essences and make better choices and take different actions, they directly bring about more healing with their friends, their family and their community. As more and more people work together in a holistic way, our relationships with each other, with the ecosystem and planet itself experience greater harmony, and thus, greater health and happiness. 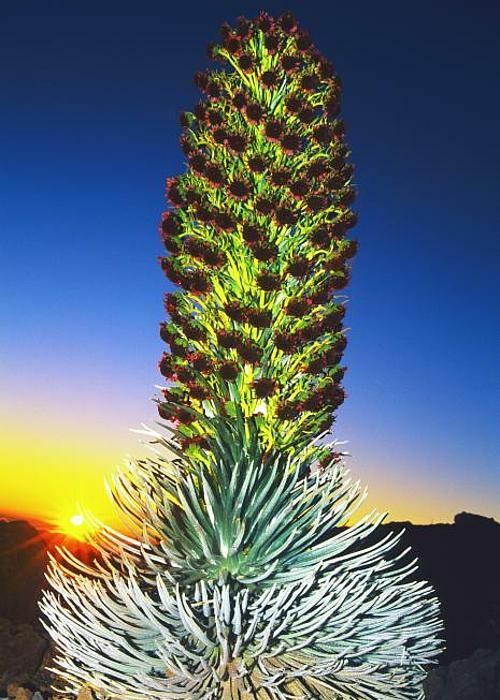 The Silversword flower essence is an incredibly unique essence as this plant is only found on the Haleakala Crater on the island of Maui, Hawaii. One could intuit that because a meteorite hit there, it brought with it this special plant. The benefits of Silversword flower essences can be to help put a person on his or her path of purpose. It can be used when a person is ready for their truest soul work. I personally find flower essences work even better when combined with cell salts. Because the cell salts are mineral compounds and electrically conductive, they help the flower essences penetrate very quickly and efficiently into our bodies. One that uses both cell salts and flower essences is called Happy Heart. 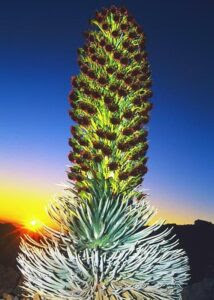 It has many rose flower essences in it as well as the Silversword flower essence. I believe why so many people are unhappy in their heart is because they feel they aren’t doing their truest soul work. The Happy Heart has dramatically helped me in several ways. There are however, many other essences out there and many places to find them. Pets and kids also benefit tremendously from flower essences as the nervous system in pets and kids are usually even more sensitive than adults. This allows for the essences to be utilized even more effectively. Here is a list of many flower essences and their benefits. I believe the more people that use flower essences, the greater healing we as individuals will experience. I see this healing extending to our relationships with our friends, our families, our social systems, our ecosystem and all beings that live on this planet with us. For some, the beneficial effects of flower essences are felt almost right away. For others it can be days or weeks later. The key is continued use. They work in a cumulative way. The more consistent, the better. Are you interested in using flower essences or have you used them before? Which ones are you currently using and what benefits are you finding? How soon did you start noticing the benefits? What patterns or habits have you transformed? 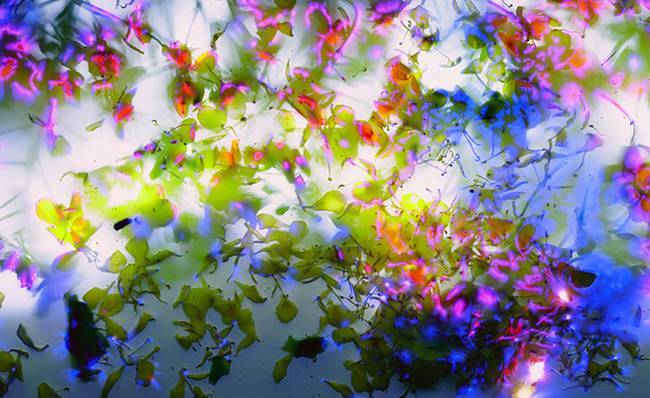 What other creative ways could we incorporate into our society the use of flower essences? The connection between the natural world and medicine is profound. The potential to yield new natural medicinal properties is obvious when many modern pharmacological findings are derived from nature. Over half of all pharmaceuticals developed over the past quarter century are directly derived from or modeled after compounds from nature. As big pharma increase synthetic drug production and the destruction of Earth’s biosphere continues, there’s a fundamental truth that’s being tragically overlooked. The human race depends on a thriving biodiversity that yields variety of all natural compounds. 1. The Madagascar Periwinkle makes pediatric leukemia and Hodgkin’s Lymphoma curable today. 2. A Caribbean Sponge slows down HIV, stopping new growth to form. 3. A Philippine Reef-dwelling Cone Snail produces a non-addictive venom that treats patients with severe pain refractory to narcotics. 4. The Pacific Yew Tree bark yields a chemotherapeutic agent that enhances the lives of women with breast and ovarian cancer.